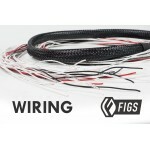 FIGS has over 25 years of combined electrical experience from simple jumper harnesses to full blow Standalone terminated bay harnesses we can assist in the spec, build and volume production of your wiring. 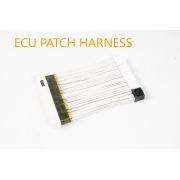 Automotive-Patch harnesses for Piggyback integration or complete standalone harnesses with bulkhead connectors, we can design an electrical system that is both serviceable as it is reliable. Specializing in on-wire printing short-run assemblies built by our automated production partners. Industrial- Robust wiring solutions for systems with multiple levels of interconnect. Sensor integration, flex circuits and High-Density backplanes are just some of the industrial applications we can serve. Marine- Weather-tight and vibration proof cable harnesses for marine applications. Please see our standard products or contact us for custom engineered solutions.